Us begins with a sincerely spooky prologue taking place in 1986, when young Addy wanders away from her bickering parents at the Santa Cruz boardwalk and encounters what appears to be her own smirking, scary double, an experience that apparently leaves her traumatized. Cut to the present, and adult Addy (Lupita Nyong’o) and her husband (Winston Duke) and two children (Shahadi Wright Joseph, Evan Alex) return to their summer home near that same beach. Even while Addy feels constantly on edge here, and becomes a little aggressively overprotective of her kids, they try to enjoy their vacation. Unfortunately they’re attacked a couple nights later by a double family — Red and her grunting husband Abraham and their kids Pluto, a masked firebug, and the chittering, eager Umbrae. 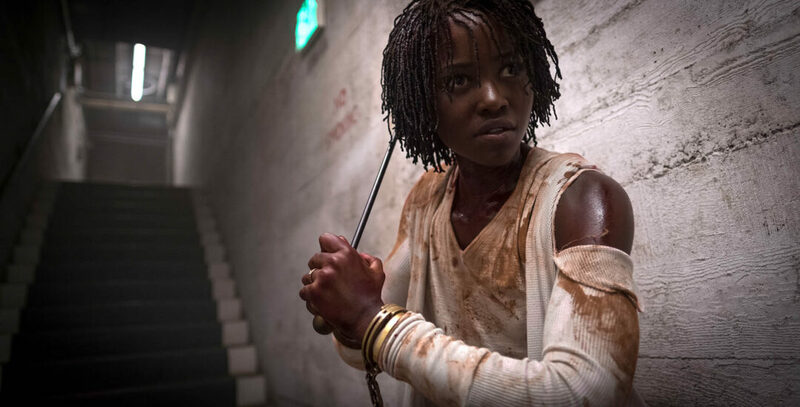 For the most part the rest unfolds as a crackerjack don’t-get-out-of-the-car, hey-look-out-behind-you shock factory, made all the more effective by director Jordan Peele’s formal economy and simple craft. It’s classic John Carpenter, really. Wide frames full of negative space and obscured areas, all the better for something to jump out at you. Perfectly placed inserts — oh, that’s where the scissors are. Even a few smartly deployed split diopters to keep things interesting during more expository moments. A crackerjack don’t-get-out-of-the-car, hey-look-out-behind-you shock factory. Unfortunately, Peele’s surplus of imagination gets the better of him. A terrific middle-act twist posits an absolutely tantalizing scenario that also unravels the film thematically. Suffice it to say that there’s an idea of America’s forgotten underclass coming to claim their stake, a metaphor that doesn’t quite hold when your analogs for that forgotten underclass are also semi-functional murdering sadists. And while Peele thankfully takes the idea as far as he possibly can without becoming overtly expository, he tempts with such detail that the movie begs for an explanation he can’t possibly offer without scuttling it. Peele’s breakout Get Out was a perfect throwback to something like The Twilight Zone, with its didactic, socially minded scenario. It was as galvanizing as any modern horror movie could hope to be, and the expectation that he’d follow it up with something equally timely and just as tightly constructed can’t really be helped, even though we all know lightning striking a second time is notoriously rare. 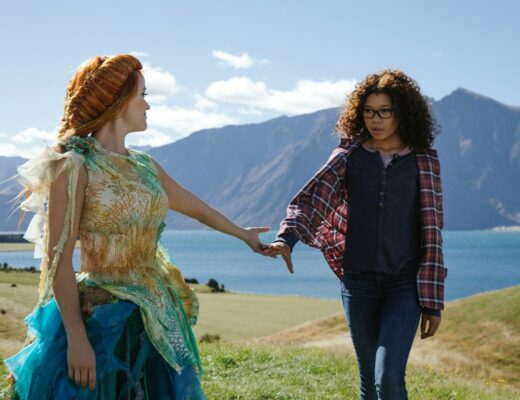 Us is certainly just as ambitious, and Peele’s technical prowess has demonstrably improved, but he seems to have had a hard time finding some more concrete ideas to hang that on.